From its start, the Joint Programme on Youth Employment Somalia (YES) has seen successful achievements, in particular through its fishery apprenticeship scheme and trainings for young people. In Somalia, youth unemployment is extremely high, with only 27% of youth sustainably employed, according to the Population Estimation Survey for Somalia 2014. They are 3 times less likely to find a job than adults and face numerous challenges, such as exposure to lower quality of jobs, labour market inequalities, and longer and more insecure school-to-work transitions. As Education and training are recognized factors for successfully entering the labour market, the YES Programme has worked since 2015 on simultaneously developing employment and providing youth entrepreneurial trainings and skills development. In late May, UN colleagues undertook a mission to Bossasso, Puntland and Berbera, Somaliland, to discuss the achievements of the YES programme and how to design and implement its new phase based on local youth and market needs. In Bossasso, 150 youth benefited from apprenticeships in the fishery sector, where they learned a wide range of skills, such as fish processing, boat repair and refrigeration. Almost 70% of all employers who offered the apprenticeships noted that their sales increased up to 9% and believe it is because of the youth’s efforts. Thanks to the apprenticeships, about 1/3 of young people kept their employment after their apprenticeship. As a result of these initiatives under the YES in Bossasso, a formal agreement was reached on partnership and cooperation with the Puntland Chamber of Commerce. Their focus will be on skills development, notably in the fishery sector. 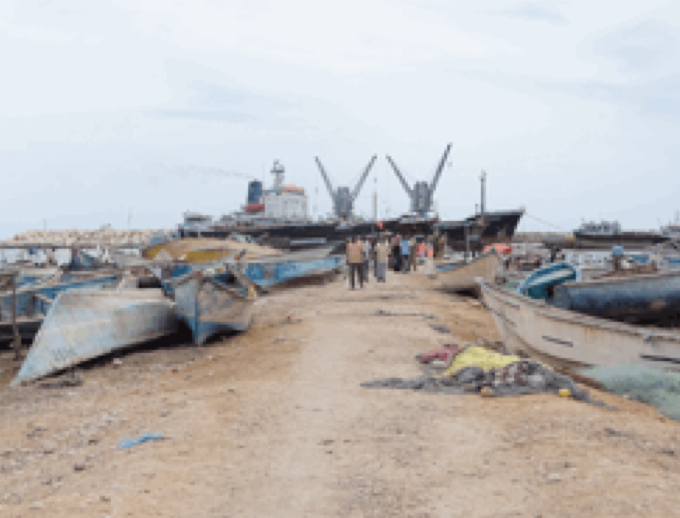 In Somaliland, with the overall objective of the programme to create long-term employment for youth, the YES is planning to expand the scheme to Berbera. The mayor of Berbera has welcomed the initiative and has stressed the priority of generating jobs for young people. Hawa, one of the female apprentices, underlined how valuable this training was for her and urged the programme’s partners “to provide more education and skills in order to increase youth self-confidence”. Many young people have expressed an interest in starting their own business but there are genuine concerns about their vulnerability on the labour market due to inexperience with starting a business or managing finances. To respond to these concerns, there will be a stronger focus on start-up tool packages (such as tooling equipment relevant to the respective business sector), which will be explored during the next phase in order to prevent young people from burdening into debt. In addition to the achievements reported in Somaliland and Puntland, the YES has been implementing the Shaqeyso training programme at the One Stop Youth Centre in Mogadishu to further develop Somali youth’s skills. The training programme intends to help disadvantaged youth, including divorced women and internally displaced persons (IDPs), to gain comprehensive life skills training, construction skills training and to give them tools to start their own business. With a total of 359 participants, it is interesting to note that only a quarter of all trainees have any educational background. Nevertheless, 349 young people have graduated so far, with a success rate of more than 97%. The Youth Employment Somalia Programme is a joint programme by FAO, ILO, UNDP, UN-Habitat and UNIDO to improve sustainable employment opportunities for young Somalis and develop their skills to better fit the labour market. The programme is being implemented with thanks to funding from Italy, Sweden, Switzerland, Denmark and the UN Peacebuilding Fund (PBF).